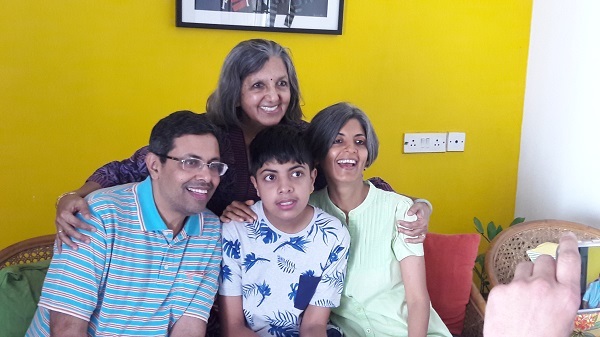 Ganesh Anantharaman reflects on his journey as a father of a teenager on the autism spectrum and coming to terms with the toughest question for an autism parent - What after us? My son Ananth just turned 17. Each birthday, along with being a source of joy and celebration about how far he has progressed since his diagnosis and ongoing treatment from the time he was just 1.5 years old, is simultaneously also a source of many new questions and attendant anxiety. Now that he’s 17, how do we help him manage and regulate adolescent behaviours? How do we teach him socially appropriate expression of his emerging sexuality? How do we find a path for his ongoing learning after he leaves school in a year? How do we ensure long-term financial security for him? And, last but the toughest question of all: What after us; a time when my wife and I are no more? How do we help him live without us? In this article, I talk about my own experience as a father in wrestling with these questions, and in the process coming to terms with his Autism. I know that there is no substitute to regular and ongoing work, to find answers to these questions and thus manage the anxiety. A part of the work to be done is in the present: with him as an individual: to support his ongoing learning to the extent he is able and willing to learn; to help him manage his needs in more socially appropriate ways; to build his sense of identity around what he enjoys doing; and so on. Another part of the work to be done is about planning for his future: plans for his long-term financial security; finding new options for continuing his education; finding new ways of bringing his talents to the fore so that they become the core of his identity; exploring possibilities for gainful employment, even if the income he earns may not be enough to meet all his needs; and so on. A third part of the work, that which I believe is the most difficult, is the inner work that you need to do with yourself as a parent of a child with a disability. I know from my personal experience that accepting the reality of your child’s Autism is a process, not an event. It took me many years to be comfortable with Ananth’s atypical social behaviours. Quite a few years to not feel envious of other parents whose children don’t have a disability. More than a decade to not blame myself or my son for who he is. Each step has taken time; but has brought me closer to accepting the reality of Ananth’s Autism. My wife, I must acknowledge, has been way ahead of me in this journey of acceptance. She has never been anxious about talking about his Autism to others; or been embarrassed about his atypical behaviours in social spaces; or angry with him for not meeting her expectations. In my case, it is only in the last 5 years, after Ananth turned 12, that I have begun the journey of accepting him as a child (or should I now say teenager?) with Autism. Acceptance of his Autism for me has meant that I continue do what all parents do; for instance, setting boundaries for him around what’s acceptable and what’s not. But the kind of boundaries that are set, as well as the manner of setting them are now rooted in the reality of his Autism. For instance, Ananth finds it very comforting to tap an empty bottle with his fingers. The action of tapping, and the sound that it produces, meets some sensory need in him. Knowing this, my wife and I have negotiated with him that he can use the bottle when he’s at home, but not when he goes out – to school or to other public spaces. He has now accepted the norm and willingly surrenders the bottle before he steps out of home. Similarly, listening to music on YouTube is his favourite pastime. We have an agreement that his computer is switched off by 1030 pm on weekdays. On weekends he is free to listen to music till the wee hours of the morning, like many teenagers do. Ananth has been undergoing various interventions for physical fitness, communication, and behaviour management for the last 15 years. Often, I am moved to tears when I realize how early he started undergoing special education, when he was barely a toddler! However, I do recognize that all the early intervention has helped him hugely, and today if he is well on the way to full independence in many areas of daily living, it is thanks to all the work that has happened with him over the years. Ananth is also musically talented and has been undergoing regular training in Carnatic classical music for the last 4 years in Chennai. He has a busy schedule – special school in the morning; sports (cycling and physical workout) in the evening; and music in the late evening, just before dinner. Now that he is soon going to be a young adult, there are many new tasks before us as parents. Educational services for children with Autism stop at 18, and many young persons with Autism remain at home for want of options for continuing education in India. My wife, with the support of Ananth’s school and a small group of parents of other teenagers with Autism, has recently launched a new 3.5 hour a day programme that approximates a college for young adults with Autism. My son will join that initiative when he comes out of school after 18. My wife and I have trained ourselves in different methodologies of working with persons with Autism. Being a parent of child on the Autism spectrum requires us to be activists on the one hand, and entrepreneurs on the other, since so many new services for persons on the autism spectrum as well as policy changes, both globally and in India, are the result of parent-led initiatives. Parent-led initiatives for persons on the autism spectrum in the areas of continuing education, the arts, community living, etc. that are sprouting in many urban centres in India are the cause of much hope for us parents, about a brighter and safer future for our children on the spectrum. The toughest part of acceptance for a parent of a child on the autism spectrum is in learning to trust our children with the world at large, in the same way that parents of neurotypical children learn to. A year ago, my wife and I decided that Ananth will go to school in our car by himself with our driver, without me or my wife accompanying him. We soon extended it to all his daily schedule – school, sports, music etc. His sports coach works with him each evening for 1 hour without either of us supervising. Of course, we have taken our own time and come to an informed decision about trusting that Ananth will be safe in the company of others in his ecosystem. As a parent of a child with special needs, I am aware that he is more vulnerable to the risk of different kinds of abuse, but I tell myself that there is no option but to trust the world at large. In general, I believe we tend to overprotect our children in every way. A month ago, we visited a farmhouse 40kms from Chennai set up with the specific purpose of helping young adults on the autism spectrum learn to live by themselves, without their families, through a planned program of overnight stays. The founders of this pathbreaking initiative told us that parents find it difficult to let their children stay overnight, even if the children themselves adjust quickly to it and seemed to look forward to it! My wife and I have resolved that we will induct Ananth into that program by the year end. After all, isn’t it better that he learns to live without us (for short periods to start with) when we are around, rather than face the brutal reality of learning to live without us permanently after we’re no more? Finally, I have realized that acceptance has a spiritual dimension: that notwithstanding all our anxieties about the future of our children, even as we plan, we parents need to learn to live more and more in the present. Happiness, I have recognized, is a ‘Here & Now’ emotion of the present: when Ananth, my wife, my mother in law, and I enjoy a metro ride together; when he uses a new phrase in English appropriately; when he sings a full song in the presence of my father and brother; when his music Guru sends a recording of his class where he’s learnt the notes of a new raga; when he rehearses songs just after hearing them on Youtube late into a Saturday night, life is beautiful, notwithstanding his Autism and our future-related anxieties! Ganesh Anantharaman is a Leadership Development & Organization Development consultant, living in Chennai with his wife Kavitha Krishnamoorthy and son Ananth. "Parents: Do Not Judge Or Assume Your Child's Capability Without Trying."